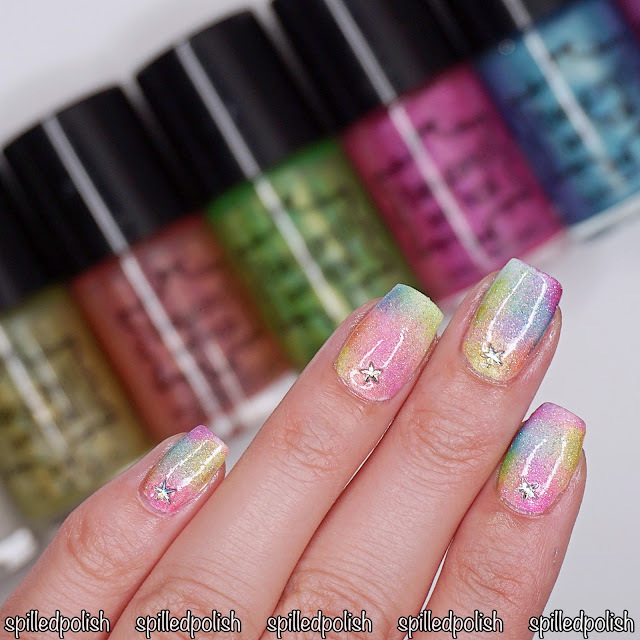 It's day 9 of The 31 Day Nail Art Challenge and today's challenge is Rainbow Nails! 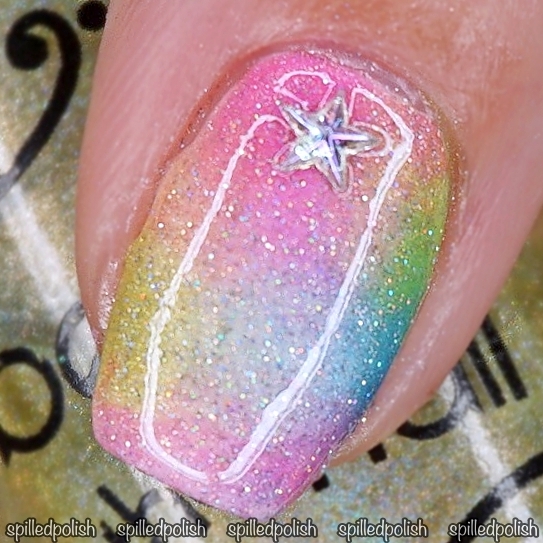 I didn't have any idea of what to do to my nails for this challenge, so I went with a rainbow gradient on every nail. I started by painting all my nails with one coat of Beyond the Nail - Bright White. While it was drying, I painted around each nail with NailExperiments - Easy Peel Latex Barrier. I got some makeup sponges and dabbed on some dots of different nail polishes from Beyond the Nail's Summer Galaxy Collection (from 2 years ago!) - Asteroid, Comet, Nebula, Shooting Star, Solar Flare, & Super Nova. I peeled away the latex barrier when everything was still wet to ensure a clean peel! 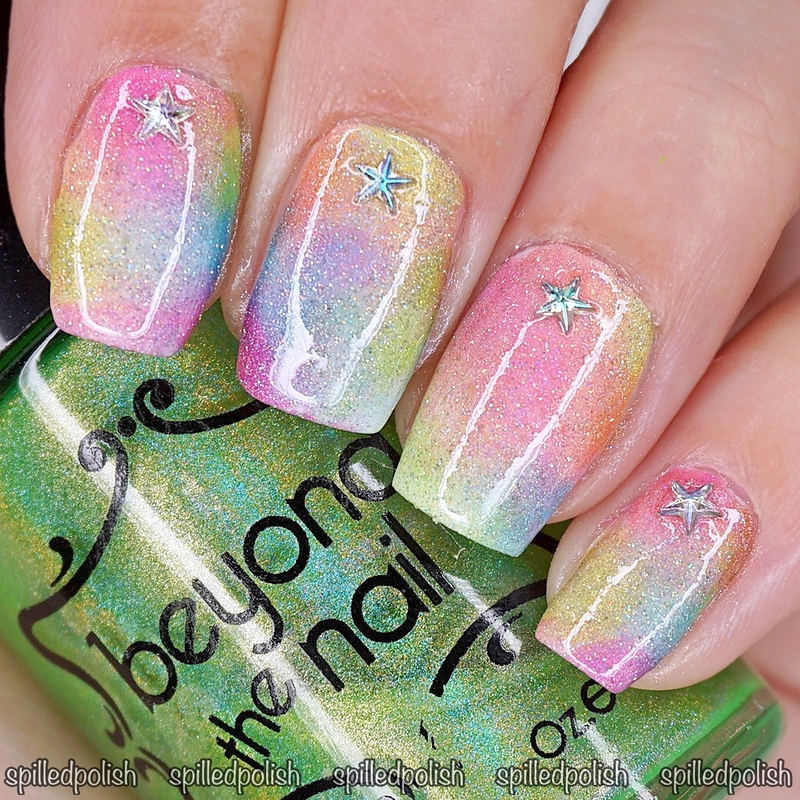 I then topped every nail off with one coat of PRO-FX - Quick Dry Topcoat and stuck on a star rhinestone to the top of each nail.